This scroll and leaf design centered on a mesh screen adorns three gently curved panels to add a graceful touch to your fireplace surround. The curved panels can be placed at different angles and used as a traditional three-part folding fireplace screen. 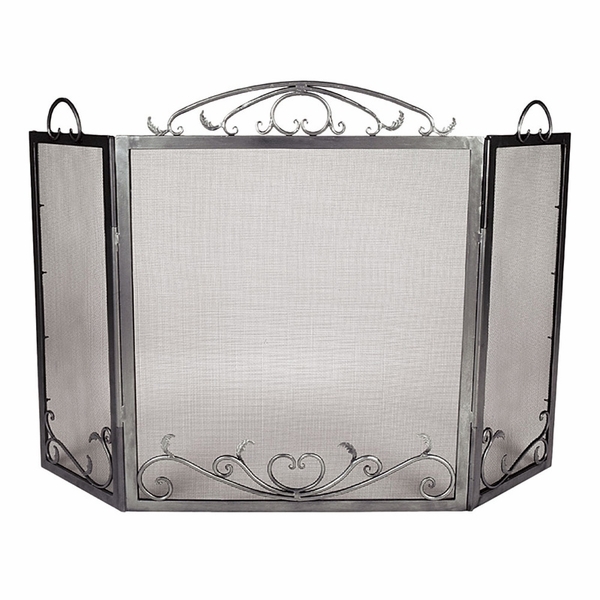 The scrolls and leaf design add such a romantic touch to an otherwise simple style screen and protect the area in front of your fireplace from wandering sparks. Crafted of high quality wrought iron, Minuteman is proud of their fireplace accessories and stands by their products. This screen is offered with a graphite finish to add beauty and style to your living room.